Dealerships decide that based on information contained in the customer’s credit report, the dealership won’t forward the application to third party companies. Lenders generally are required to send these notices as a first-line defense. But when a dealer spot delivers, the law sees him or her as a creditor responsible for sending the letter. Dealers often do not know this and it can get them into trouble. There are two major regulations that govern the Adverse Action Notice. These are the Fair Credit Reporting Act (FCRA) and the Equal Credit Opportunity Act (ECOA). 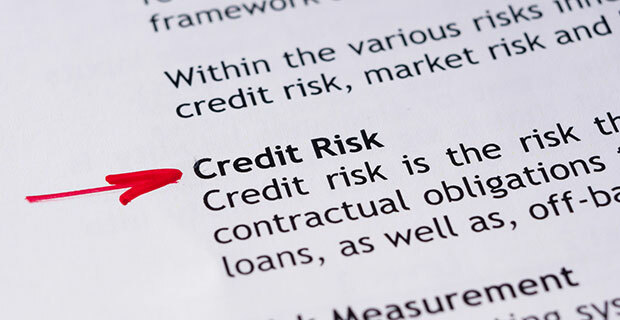 These regulations mandate that creditors must give consumers reasons and/or explanations for an adverse credit decision. If the information provided on a credit application, not a credit bureau report, is the reason that the dealership is unable to locate a lending source. The customer negotiates a deal with specific terms, and the dealership is unable to secure financing exactly as requested. The dealership spot delivers a vehicle and the finance office cannot secure a lending source, due to information provided on a credit application. If information from a credit bureau report, not the credit application, is the reason that the dealership is unable to locate a lending source, ensure that the dealership retains the credit bureau report in a secured file. If information from third party sources, not a credit reporting agency, is the reason a dealership is unable to locate a lending source, this can include information provided by an employer, a landlord, or another lending operation. If the reasons for the Adverse Action Notice falls under the mandates of the FCRA make sure you send the correct notice with the additional requirements met as mandated by the FCRA. Please note that it is OK to incorporate information required by the FCRA and ECOA into one notice. If a deal is based on a request by a consumer with specific terms, and the dealership is not able to secure a lending source willing to offer the loan based on the exact terms requested, you must issue an Adverse Action Notice. These specific terms will generally include: specific repayment terms; APR; down payment; date of first payment; etc. If a lender presents a counter offer, and the consumer does not accept it, then an Adverse Action Notice is required. However, if the consumer does accept the terms of the counter offer, then no notice is required. Regardless of who presents the counter offer, a lending institution, or an employee of the dealership, the same mandate applies. A notice that the dealership cannot continue with a loan review unless it receives the items needed within the stated timeframe. Disclose the name, address, and phone number for all credit bureau reports obtained. As with most regulatory mandates, there are various penalty sources to consider. The ECOA and FCRA both assign penalties for violations, which include punitive damages up to $10,000 in individual actions, and up to $500,000 or 1 percent of the creditor’s net worth (whichever is less) in class actions. Court costs and reasonable attorney fees may also be assigned.